Apply for THE European event of young media makers! Visions for European journalism: 270 young media makers meet, debate and create European media at the first European Youth Media Days in the European Parliament in Brussels, 27-30 June 2007. How will European media look like in 2020? 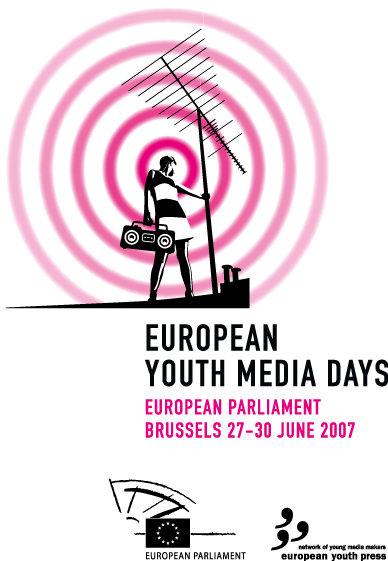 The European Youth Media Days, hosted by the European Parliament and the European Youth Press, will provide visions on European journalism in the next decades. The new generation of European journalists will come together from the 27th to the 30th of June in Brussels â€” 270 young media makers from all 27 EU-countries. Their programme: three days of discussions, meetings and practical workshops inside the European Parliament covering a broad variety of current European topics.